Fender is a bumper used to absorb the kinetic energy of a boat or vessel berthing against a jetty, Fenders are used to prevent damage to boats, vessels and berthing structures. But however after long services the fenders may get damage due to wear and tear. We GLE&C provide service to procure, remove and replace the existing damaging fenders including all accessories such as chains, Dog bone shackle and cathodic protection for the fenders. Our Expert Team who can analysis the existing fender condition and suggest only the necessary fender items to replace, instead of replacing whole fender system. 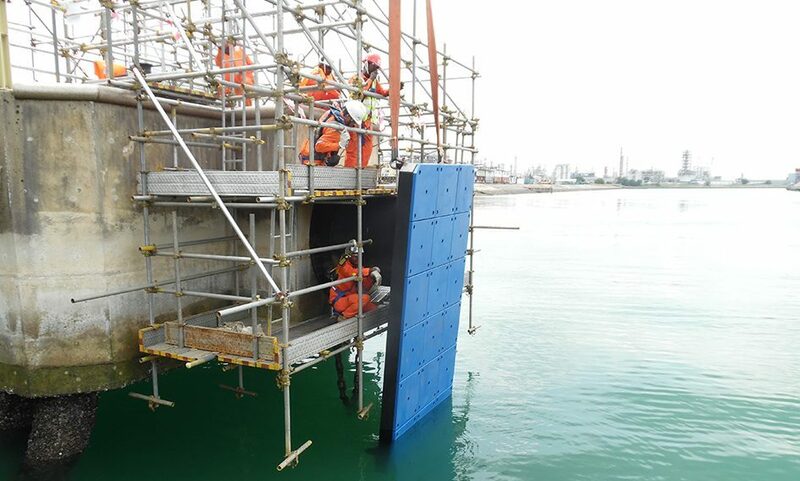 Our Experienced Field team can replace the fenders within stipulated window period by avoiding shutdown of jetty. We have vast experience in changing for fender in Jetty to our various clients in Singapore.